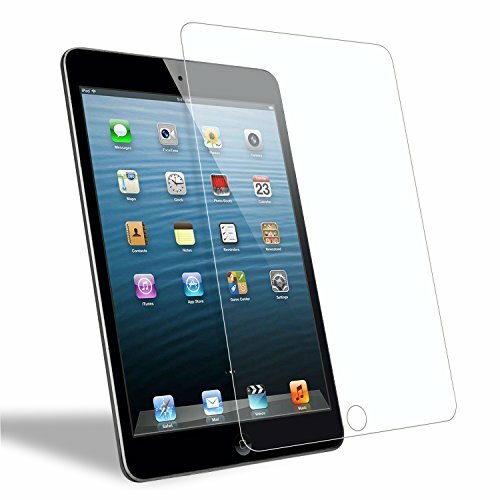 Color:iPad Mini 123 Tempered Glass Screen Protectors for your ipad mini 1 / 2 / 3,Scratch Resistant, 2.5D Round Edge, Providing Maximum Protection for Your Device 9H Hardness for Maximum Protection 9H Hardness, harder than a knife's blade. It is not exaggerated to say this ipad mini 1 / 2 / 3 screen protector is terminator to any possible scratches by keys, knife or other sharp objects. High Transparency Light Penetration Ratio 99% (Comparison: Glasses 92%, General protective film 80%). Easy Installation The entire surface of the protector is transparent and the back side is covered with a strong silicon adhesive for easy installation.